Just when you think IBOtoolbox can't possibly get any better, IBOtoolbox has decided to open up commissions to all IBO members. Yes, you read that right - you can now make money at IBOtoolbox! I know I have said this before but seriously folks, there has not been a better time to refer to IBOtoolbox! Receive 20 percent commissions on credit purchases of anyone you personally referred to IBOtoolbox. You do not need to be a member of ClubIBO, maintain a certain amount of stars or purchase credits yourself to receive commissions. The only criteria is that you must log into IBOtoolbox at least 7 days prior to the sale to be eligible for that commission. Receive 50 percent commissions on credit purchases by being an active ClubIBO member. Minimum payout is $50 and commissions are paid via Paypal. Make sure to update your Paypal email under Step 1 of Edit Profile. 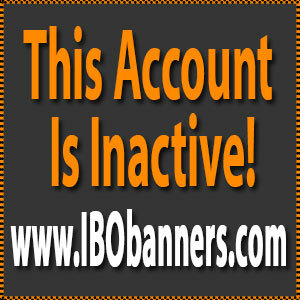 To find out more about the IBOtoolbox Commission system, click on My Earnings under Site Navigation. I encourage all of you to not leave money on the table. Upgrade to ClubIBO and take advantage of the high 50 percent commission that IBOtoolbox is very generously sharing with us! New IBOtoolbox promotional banners have been put inside the member's area under Referral Links for you to use to market IBOtoolbox. Additionally, it's really important that you make sure your referrals get training on how to use IBOtoolbox. If they don't know how the site works, they won't stick around and they definitely won't purchase credits so you won't earn commissions! If you need a good source for getting referrals to IBOtoolbox click here for my secret weapon! - Free Marketing Platform Gets Massive Results! - 100% Free Amazing Tools for Marketers! - This Free Site Gets 300K++ Targeted Visitors Daily!